As always, Dean Baquet’s expressed views about Twitter and his admission that he should probably be using the platform more is a great jumping-off point for discussion and debate. 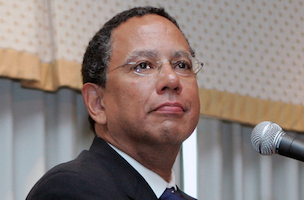 At press time, the New York Times executive editor hasn’t tweeted in four months. Maybe I’ve misread the criticism of Baquet that I’ve seen elsewhere, but my view is exactly the opposite: the smartest young journalists coming up and the Generation X-ers (ahem) that preceded them, along with their wise elders, understand at a visceral level that social media, online video and Smartphones have shifted how news gathering works, democratizing publishing to all and enabling any connected person to report and commit acts of journalism. The people formerly known as the audience, per NYU journalism professor Jay Rosen, certainly know and experiences this during every breaking news situation, with all the confusion and misinformation it creates. For much of the public, a top editor publicly choosing not to participate in the hurlyburly of online conversation, even to the point of not contributing, much less demonstrating listening or acting as a hub to redistribute confirmed reports, might look like he or she is remaining aloof, choosing to preach from in front of the cathedral, not minister to a circle of friends. Well said. Should the executive editor of the nation’s most influential newspaper be on Twitter more than Baquet is? No doubt many will be sharing their opinion about this in the coming days. P.S. In the absence of an active Twitter stream, the people someone like Baquet follows can be secondarily illuminating. Predecessor Jill Abramson, who was one of the first people to be he clicked into on Twitter by Baquet, is still there. Meanwhile, one of the very few outside-the-journalism-biz folks in Baquet’s 72 people followed is Steve Martin, currently on Twitter hiatus. On the Twitter favorites front, Baquet has so far been even more cautious.